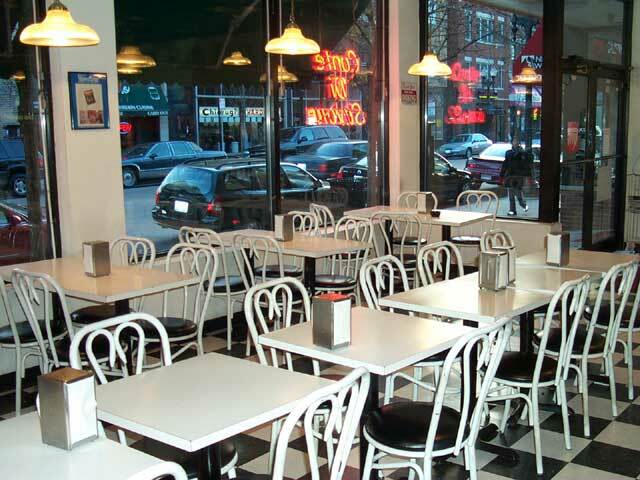 Since 1948, Conte Di Savoia in Little Italy has been serving up incredible sandwiches and salads. Ask us to stock your picnic basket with bread, cheese, salami and wine, or a fresh mozzarella sandwich with Italian roasted red pepper and watercress. Cappuccino machines, peppers, ham and cheeses imported from Italy. Italian sandwiches can be eaten at the few tables at the front of the store. 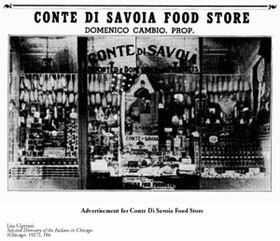 Conte Di Savoia has been family-owned for more than 50 years, and probably anything you need for the kitchen from Italy can be found here. We have a range of choices here that guarantees to satisfy all first-time visitors, in the summertime, you can expect sidewalk tables and freshly potted herbs to take home. If you call ahead, we can arrange a picnic basket for you. For Italian families with a little more cash to spend, the large import stores on the Near West Side provided a supplement or sometimes an alternative to the neighborhood store. Terese DeFalco remembered Fiore's Grocery at Loomis and Taylor but also, "there were the big grocery stores on Halsted and Taylor that we used to go to for our weekly shopping. That would be for the olive oil, the olives and bacalà and dry garlic. They'd sell it in bulk....Whereas your grocery stores didn't." "Taylor and Halsted, well that was the capital. 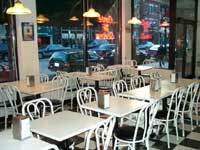 That's where everybody used to go," according to Louis Panico. Bountiful sidewalk displays tempted shoppers. 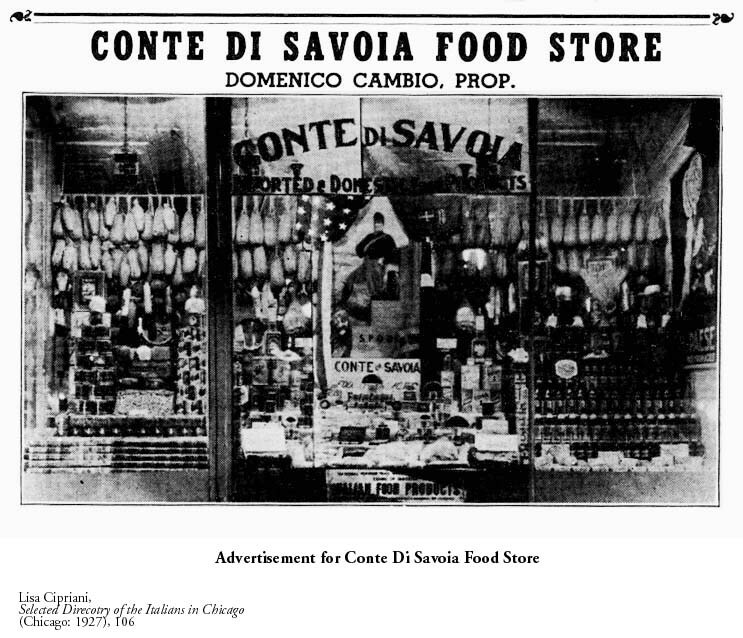 At Conte Si Savoia, on Halsted Street, "Outside would be the wicker baskets with all the snails in them and the codfish, which is the bacalà, the dried codfish. 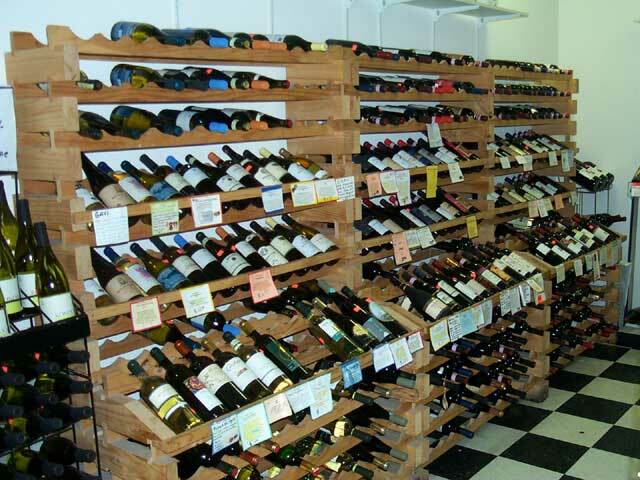 Clams and mussels were just...it was unbelievable and all the olive oils."